JAWS French GIANT premiere poster signed x9 -Les Dents de la Mer ! An incredible (Massive 62" x 46 " !!!) signed poster for the movie JAWS ! Signed by 9 of the original cast, at Jawsfest 2005. Susan Backlinie (Chrissie) - The girl swimming on the poster ! 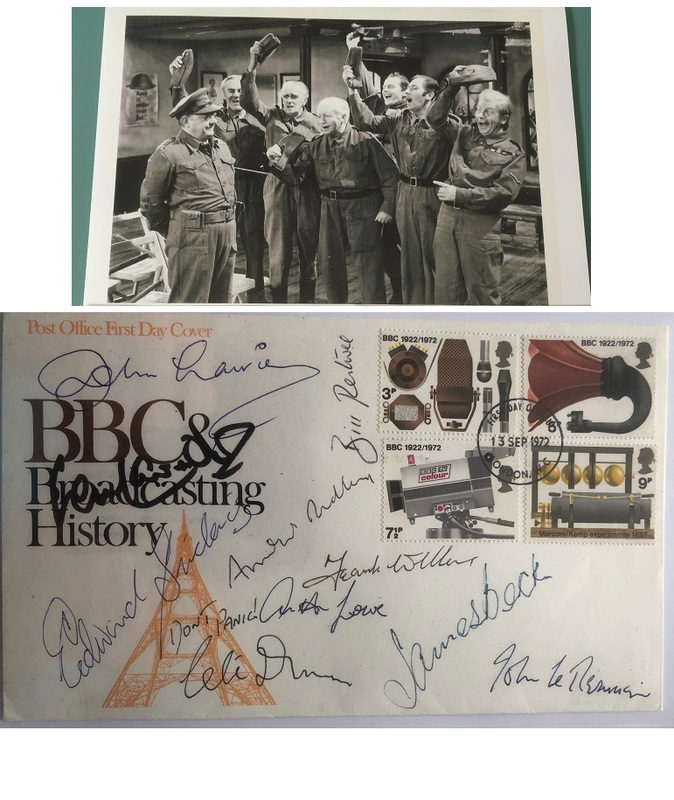 Comes with amazing photo/& film provenance of the actual actors signing the poster. Signed at (Edgartown) AMITY TOWN HALL - Awesome piece ! 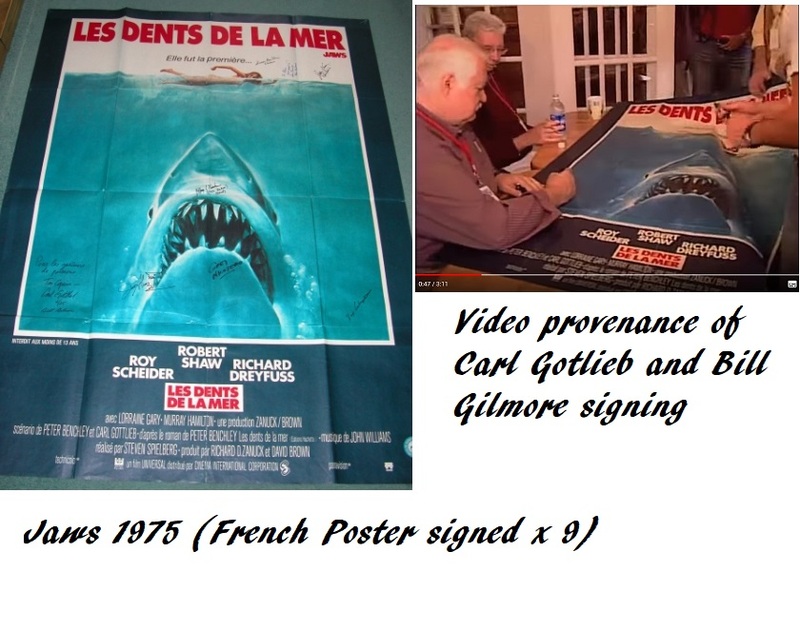 Click on the YOUTUBE link below, to see JAWSFEST 2005, and this actual poster being signed by Carl Gottlieb (Script) & Bill Gilmore (Production Executive) - A real one of a kind !